Fianna Fail leader Micheal Martin will today pay a warm tribute to the peace process work of former Taoiseach Bertie Ahern, who has hit the headlines again after walking out of an interview in which he was questioned about his past finances. Mr Ahern was putting the furore over the interview behind him yesterday by celebrating the birthday of his twin grandchildren. The former Taoiseach's grandchildren, Rocco and Jay, turned 11 and the day placed a positive bookend on what had been a tough week for the former Fianna Fail leader. 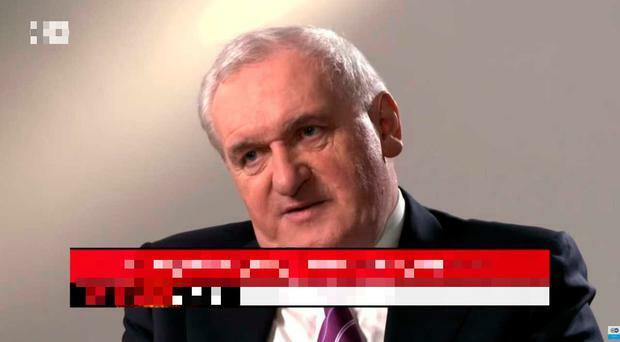 It came days after Mr Ahern walked out of a one-to-one with Germany's international broadcaster after the interviewer questioned him about the findings of the Mahon Tribunal. However, in a speech today at the annual Fianna Fail 1916 Commemoration at Arbour Hill, Mr Martin is expected to say that the Good Friday Agreement would have been "impossible" without Ahern's leadership as Taoiseach. He will say: "The scale of the problems which he and others overcame in that negotiation and in those which followed dwarf any that exist today - yet what we are seeing is a very real threat to the first agreed settlement in the history of this island". Mr Martin was leader of Fianna Fail when Mr Ahern resigned from the party after the Mahon Tribunal report was published. On German broadcaster DW's Conflict Zone, journalist Tim Sebastian asked Mr Ahern, in light of the fact that he could be running for President, to address issues including his past as "a finance minister without a bank account" and the fact that public inquiries said he "lied about the source of substantial sums of money" he had received. The interview was largely about the Good Friday Agreement until Mr Sebastian changed topic and questioned Mr Ahern on the findings of the Tribunal, saying: "They said you weren't truthful". Mr Ahern responded by insisting he was "happy with [his] evidence" and that he had dealt with the issue "comprehensively". He added that he wouldn't be saying any more on the matter. 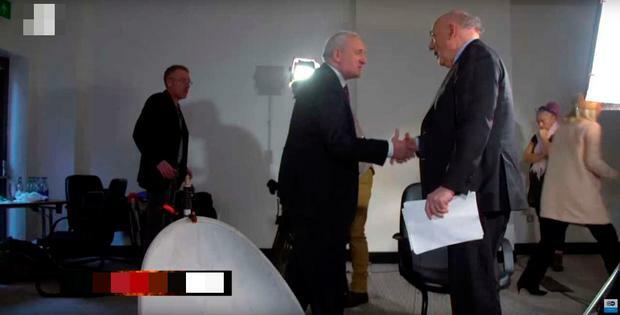 After further questions about the crash, Mr Ahern took off his microphone and - still maintaining a smile - walked out, saying: "I agreed to meet you on the Good Friday Agreement, we've done that so we're finished, thank you very much." Sebastian had asked Bertie Ahern about his "own mixed fortunes" since the Good Friday Agreement. He questioned Mr Ahern about his resignation from Fianna Fail after the Tribunal found he did not truthfully explain payments made to accounts connected to him. The tribunal did not find the former Taoiseach to be corrupt, but it resulted in Mr Ahern's resignation in March 2012. He had stepped down as Taoiseach in 2008 and as a TD in 2011. Mr Ahern has always rejected the report's findings. "I'm quite happy I cleared my name," Mr Ahern told the programme. When asked why the tribunal never reversed its decision, he replied: "No I mean, the tribunal gave its views, the tribunal gave its views". Mr Sebastian asked: "They said you weren't truthful." To which, Mr Ahern replied: "No, they gave its views and I gave my evidence. I gave my evidence and I was very happy with my evidence, I was very happy with the situation that I gave and the tribunal is over and it's reported and that's it. "I've definitely dealt with that issue and I'm not saying any more about that issue, I've dealt with it comprehensively," he stated. When prompted about looking to run for the presidency with these issues "in the public domain", Mr Ahern replied: "That will be for another day, that will be for another day". When Mr Ahern asked the interviewer to change the subject from the Mahon Tribunal, the journalist then said: "Let me talk about the economic crash…"
Mr Ahern appeared reluctant, which led the presenter to ask: "Why you don't want to talk about these things?" Mr Ahern replied: "I agreed to meet you on the Good Friday Agreement. We have done that so we are finished." The pair also spoke about the current Northern Ireland political crisis and Brexit. In his Arbour Hill speech, Mr Martin also targets the Government on Brexit, housing and public services.